After 20 years in the CSR game as a professional and academic, I find myself reflecting on a vexing paradox: we have more CSR than ever before, yet many of the challenges that CSR is supposed to be tackling are still getting worse, not better. Partly, I think this is because we tend to focus on CSR activities rather than outcomes – not only at events like Responsible Business Week, but also more generally. My forecasts for 2020 emerged out of the belief that this contradiction will not be tenable for much longer. Either CSR will have to transform and become much more impactful, or it will become superfluous and die. Forecast 1 – By 2020, we will see most large, international companies having moved through the first four stages of responsible business (RB) – namely defensive, charitable, promotional and strategic approaches – and practising, to varying degrees, transformative RB. Forecast 2 – By 2020, reliance on RB codes, standards and guidelines such as the UN Global Compact, ISO 14001and SA 8000, will be seen as a necessary but insufficient way to practise RB. Instead, companies will be judged on how innovative they are in using their products and processes to tackle social and environmental problems. Forecast 4 – By 2020, cross-sector partnerships will be at the heart of all RB approaches. These will increasingly be defined by business bringing its core competencies and skills (rather than just its financial resources) to the party. Forecast 7 – By 2020, some form of Generally Accepted Sustainability Practices (GASP) will be agreed, much like the Generally Accepted Accounting Practices (GAAP), including consensus principles, methods, approaches and rules for measuring and disclosing sustainable business. Furthermore, a set of credible RB rating agencies will have emerged. Forecast 8 – By 2020, many of today’s sustainable business practices will be mandatory requirements. However, RB will remain a voluntary practice – an innovation and differentiation frontier – for those companies that are either willing and able, or pushed and prodded through non-governmental means, to go ahead of the legislation to improve quality of life around the world. Forecast 10 – By 2020, RB will have diversified back into its specialist disciplines and functions, leaving little or no RB departments behind, yet having more specialists in particular areas (climate, biodiversity, human rights, community involvement, etc. ), and more employees with knowledge of how to integrate RB issues into their functional areas (HR, marketing, finance, etc.). By Dr Wayne Visser is Director of Kaleidoscope Futures and Founder of CSR International. He holds a PhD in CSR from the ICCSR, Nottingham University Business School. 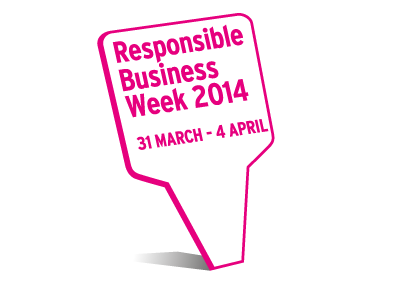 Nottingham University Business School will also be supporting Responsible Business Week 2014 by offering a free public lecture by a leading UK entrepreneur and philanthropist. Polly Gowers OBE, CEO and founder of Everyclick Ltd — a technology company that provides online fundraising tools for charities — will be speaking on Jubilee Campus on Wednesday April 2nd 2014 for more details visit the website. Great article, allowing to have a perception of the whole “spectrum” of CSR and Sustainability activities, practices and guidelines that are evolving in a parallel and uncoordinated way, being “tried” in diverse geographies and by diverse companies and institutions. I do hope these 10 forecasts will materialize until 2020, specially “that most large companies committing to the goal of zero-waste, carbon-neutral and water-neutral production, with mandated take-back schemes for most products”, which will ignite true transformative business and ways for human society to live within and interact with the biosphere.